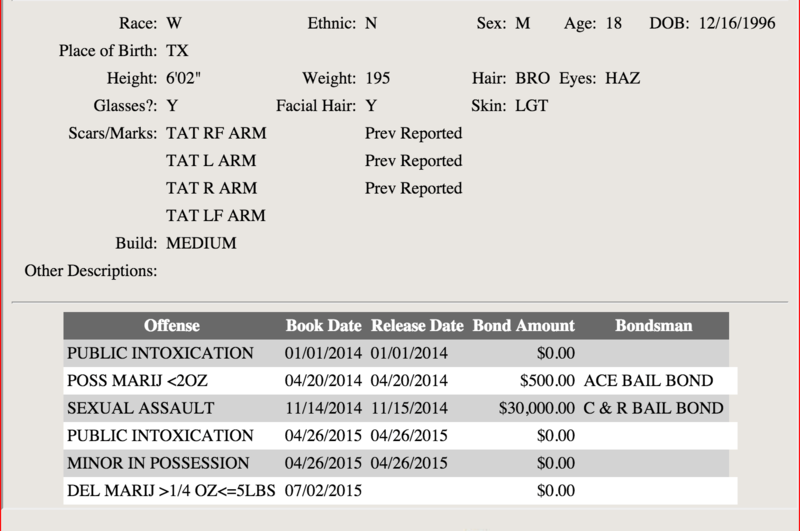 STEPHENVILLE (July 2, 2015) — An 18-year-old Erath County man is once again behind bars. Austin Keith Harouse was arrested Wednesday on charges of delivery of marijuana over four ounces but under five pounds. He was booked into the Erath County Jail and as of midnight a bond had not been set. What makes this arrest interesting is Harouse’s numerous previous charges. Since January 1, 2014, he has been arrested four other times and charged with public intoxication twice, minor in possession and possession of marijuana – under two ounces, as well as one charge of sexual assault in November 2014.